Canon Collins invites applications for the Thekgo Bursary. 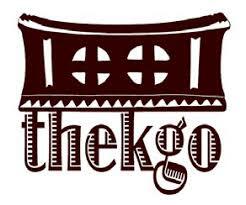 In 2019, in response to the new funding of Higher Education by the South African government, the Canon Collins Thekgo Bursary has been restructured from providing registration fee for first year students to providing bursaries that alleviate undergraduate students’ debt. For 2019 academic year, these bursaries will only be awarded to completed undergraduate students who have already missed at least one graduation due to outstanding debt with a university in KwaZulu-Natal Province only up to an amount of R10 000.
have completed undergraduate studies (three year or four year Bachelor or Honours degree) in a degree programme within Thekgo’s focus disciplines in the Humanities, listed above, at a public university in Kwazulu-Natal province in South Africa. We usually dispense about 5-7 bursaries per year depending on the number of applicants. The selection committee decides on the actual amount that will be awarded to individual successful applicants. We are now open for applications. Download the application form, save a copy on your computer, and fill it in. You must return the form to the Canon Collins office by email to thekgo@canoncollins.org.uk along with your supporting documents. Please read the guidelines for applying for more information on eligibility and selection criteria before applying.